News updates from our rescue work and re-homing stories! WARNING: GRAPHIC PICTURES. One of our volunteers decided to take her dogs for a walk at Emo Woods. On entering the woods, she could hear a puppy yelping in the distance and she followed her dogs lead towards the yelping. Arriving close to where the yelping was coming from, a gentleman who was also out walking his dog, told the volunteer he had found a puppy but couldn’t get to it. On further investigation she found the puppy, way down at the bottom of a ditch. Come Along To Our Adoption Day! 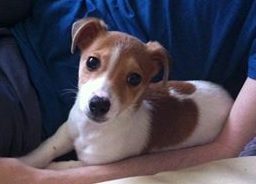 Join us on our adoption day this Saturday 24th in Petworld, Portlaoise from 12 – 3pm. Come and meet some of the animals in our care who are waiting for their forever homes. They will be very excited to meet and greet! Hope to see you there. A big thank you to Laois Shopping Centre for allowing us to hold a food appeal there yesterday. Thank you also to all the kind people who donated to feed the animals in our care, they all greatly appreciate it. We regularly advertise that we run a Trap, Neuter and Return scheme where we provide humane cat traps, neuter the cats and return them back to the area. Under no circumstances, should these traps be used to trap cats to release them UNNEUTERED onto farms. We have had a report of a man on the Block Rd, Portlaoise selling Persian rugs. 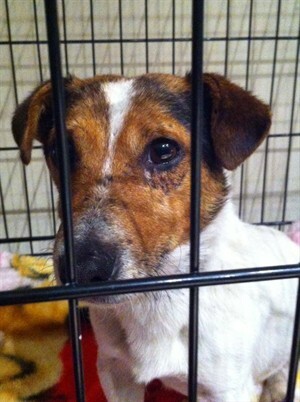 He also seems to be showing a lot of interest in dogs in gardens and has offered to buy one from an owner. 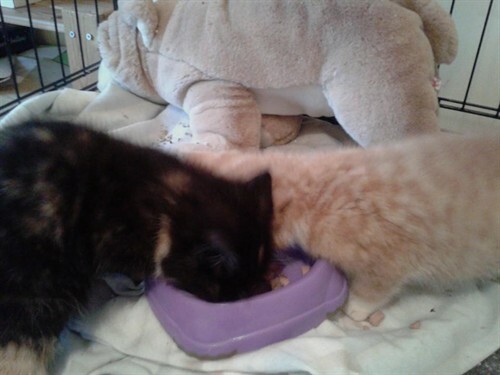 Luckily a man out walking his dog noticed these kittens and contacted the LSPCA. They are two little beauties, really friendly and love their cuddles. This lovely mammy cat was dumped in The Swan, Laois with her six gorgeous kittens. Just imagine, trying to feed six kittens, forage for food herself to maintain her milk supply with no shelter from the rain and no access to regular meals. 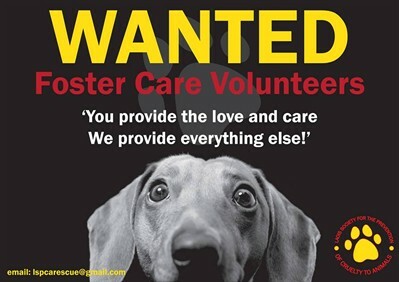 We are currently looking for foster volunteers, particularly cat fosterers. Allie was bathed and had her hair shorn to remove the sore and uncomfortable matts. She felt much better after it and was so much brighter. We received a call from a lady who rang looking for help for a stray dog that had turned up on her doorstep, she said it was in a bad way. One of our Volunteers went to meet the lady with the dog with the intention of holding it for the night. The sight he saw was horrifying.